osTicket WP Bridge: lets you use your osTicket and WordPress installs together. 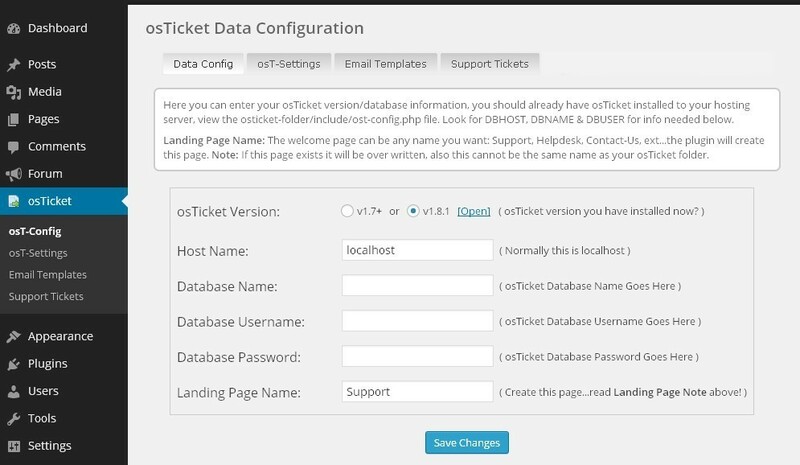 You can view tickets and post replies without having to login to the admin area of osTicket. Key4ce osTicket Bridge: another plugin for osTicket users. It displays open tickets and lets you handle them within WordPress. It is compatible with osTicket 1.8 and 1.9. Of course, you don’t need to use these plugins to manage your tickets. But they do help you become more productive.